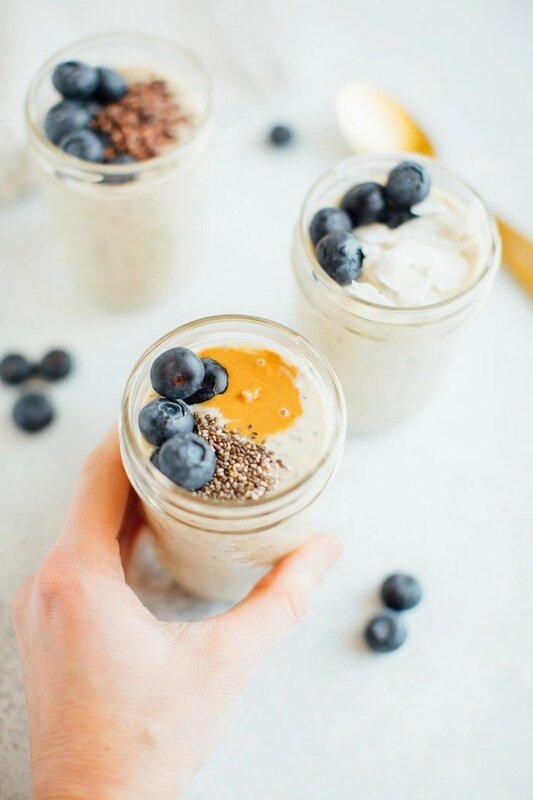 A basic grain-free overnight “oats” recipe! 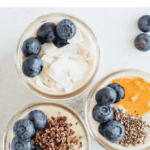 This recipe replaces the oats with hemp seeds and chia seeds for a make-ahead breakfast that is paleo, vegan, grain-free and keto-friendly. 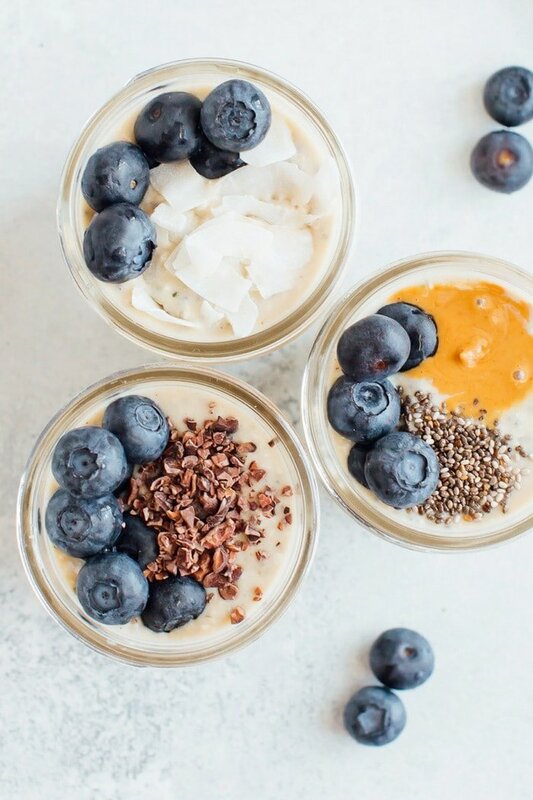 Overnight oats are all the rage, and for good reason. 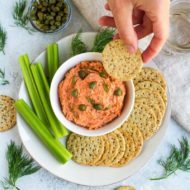 You can throw them together ahead of time and have a breakfast or snack ready to eat! 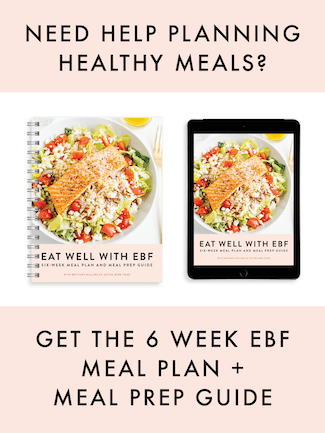 But what if you don’t tolerate grains or you’re following a paleo, grain-free, keto or low-carb diet? I’ve got a solution for you. Hemp hearts! Hemp hearts, also known as hemp seeds, are packed with so many awesome nutrients. Hemp is one of the best plant-based sources of protein — it’s a complete protein (meaning it contains all nine essential amino acids), it’s high in omega-6 and omega-3 fatty acids, and it’s rich in magnesium, which is one of the most common nutrient deficiencies. It’s also high in iron, vitamin E and fiber. A true superfood! Hemp has a mild, nutty flavor that doesn’t compete with other flavors, allowing the rest of the ingredients to shine! 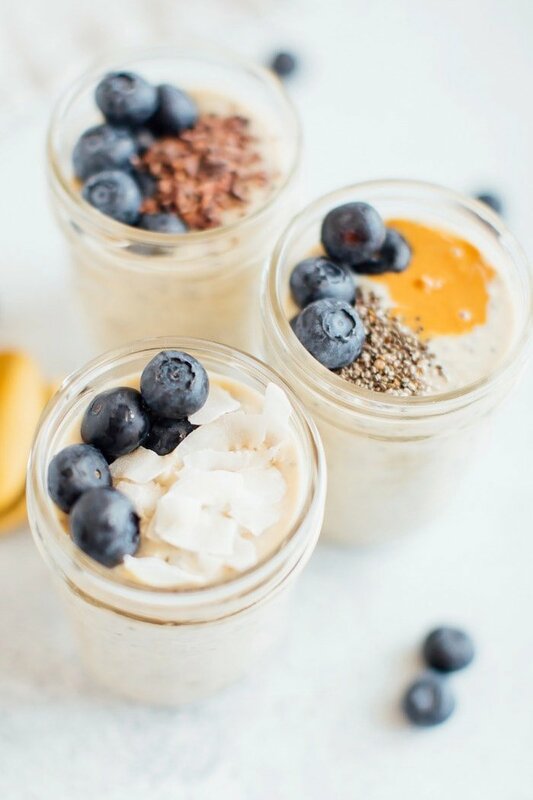 This is a basic recipe, but just like with overnight oats and chia pudding, the variations are endless. 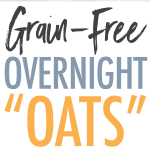 I’ll be sharing more of my favorite grain-free overnight “oat” combinations soon but in the meantime, get creative! I want to see what flavor combinations you come up with — be sure to tag me on social media! 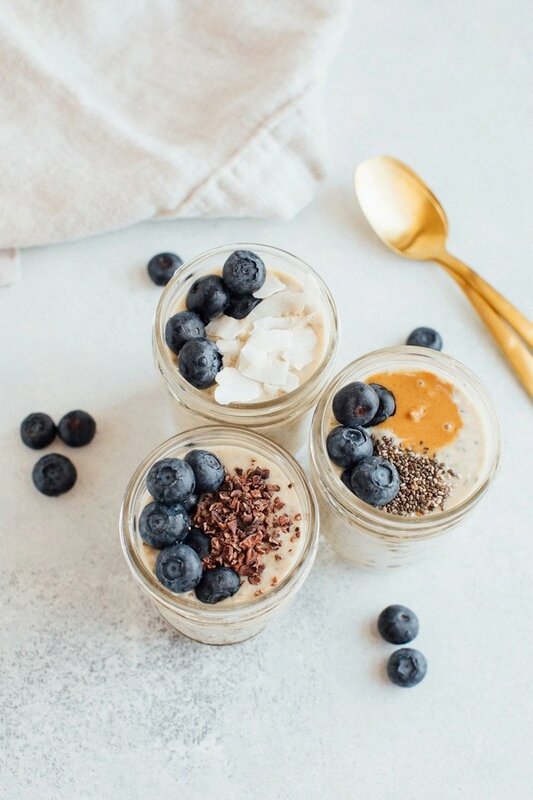 I’ve been making these grain-free overnight “oats” on Sundays so I’m set for the week. 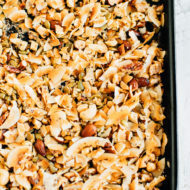 Feel free to double or triple the recipe — they store well in the fridge for 5-7 days. They are so simple to make, you really can’t go wrong with this recipe. I love that I can grab a jar for a quick breakfast or snack on the go, and you guys… they keep me SO FULL. 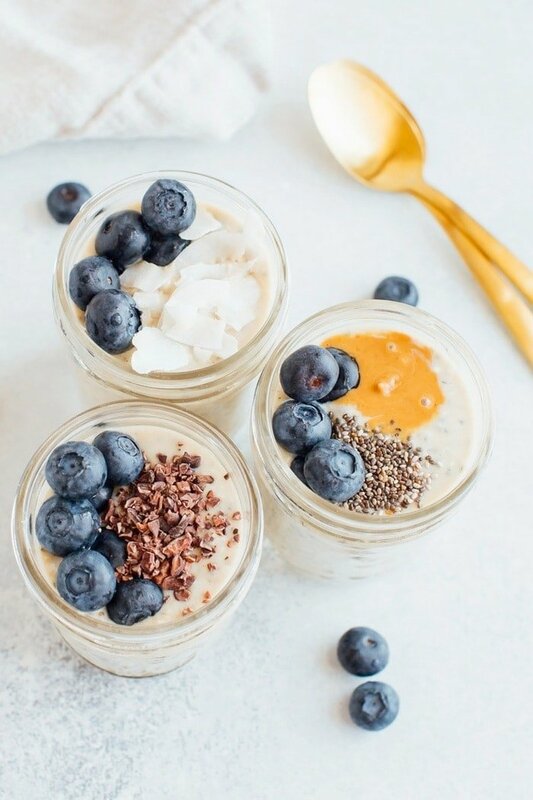 Are you an overnight oats lover? What are your favorite flavor combinations? Add all ingredients except toppings to a mason jar. Stir until well combined. Top with a lid and place in the fridge overnight (or at least for a few hours) to thicken. Remove from fridge, add more milk if needed, stir and sprinkle on your toppings. 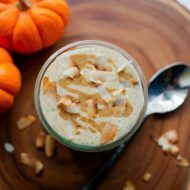 Use canned full-fat coconut milk to make the overnight “oats” extra thick! 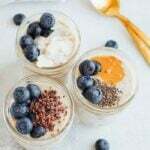 If you try these grain-free overnight “oats” be sure to rate the recipe and leave a comment letting me know how they turned out. Or share a photo on social media. Just don’t forget to tag me @eatingbirdfood and #eatingbirdfood so that I see it. Hi! Was wondering why the coconut flour was used? Hi Vanessa. Coconut flour helps to absorb the liquid. I don’t have coconut flour, can I use almond flour instead for this recipe? Hi Erika! You can definitely try using almond flour instead of coconut flour, but you’ll likely need to increase the amount because coconut flour soaks up more liquid than almond flour. I’d start with 1 Tablespoon and then decide if you want to add more in the morning! 🙂 Let me know if you try the recipe. How much is 2/3rds of a cup of almond milk in mils. Dont use cups in the UK! Hi Deb! I just Googled it and it looks like 2/3 cup is 157.725491 milliliters. Is it possible to omit the chia seeds? I’m not a huge fan of them. My seeds were still crunchy after sitting overnight…did I do something wrong?? ?